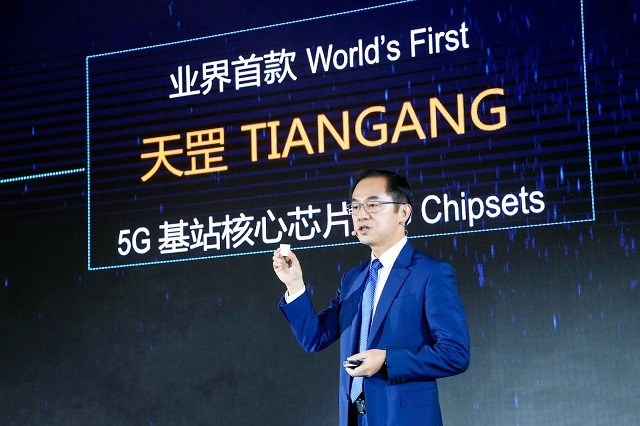 On January 24, 2019, Huawei today launched world’s first core chip specifically designed for 5G base stations, Huawei TIANGANG in Beijing, China. 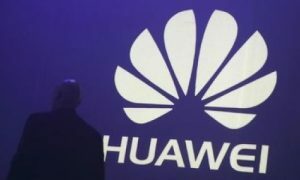 At a 5G launch event that doubled up as a pre-briefing for the MWC Barcelona 2019, Huawei announced the innovative chip that will support simplified 5G networks and large-scale 5G network deployment all over the world. To date, the company has won 30 commercial 5G contracts and shipped over 25,000 5G base stations globally. Its end-to-end 5G chips support networks of all standards and all bands (C band, 3.5G, and 2.6G), helping customers access the best wireless and microwave services. This chip is highly integrated, which means it can support large-scale integration of active power amplifiers (PAs) and passive antenna arrays into very small antennas. It also boasts super high computing capacity, with a 2.5-fold increase over previous chips. Using the latest algorithms and beamforming technology, a single chip can control up to 64 channels, which is the industry’s highest standard. This chip also supports the 200 MHz high spectral bandwidth, getting ready for future network deployment. This chip also brings revolutionary improvements in active antenna units (AAUs), with 50% smaller, 23% lighter, and 21% less power consuming base stations. The 5G base stations can be deployed in just half the time it took to install a 4G base station. These features will help address issues such as site acquisition and network deployment costs.